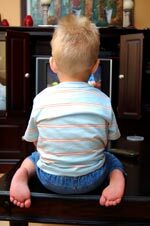 MathRider » Blog » Effects of Television on Children – How Much TV is Too Much? This topic has been the cause of much debate, but many would agree that the effects of television on children can be both negative and positive. Of course, there are many factors that influence how much children are affected, and these include how much TV they watch, their personality and age, what shows and programs they watch, how much TV they watch alone and with adult supervision, and whether their parents talk with them and discuss what they see in TV. So how much TV is too much? The American Academy of Pediatrics recommends that children below two years old should not view television at all, while many child development experts recommend that children over five should have no more than two hours of watching supervised, quality programs. The first two years of life are a critical time for children, and many experts agree that watching TV and using other electronic media frequently can become hindrances in the healthy physical and social development of children. Instead of playing and exploring the world around them, as well as interacting with their parents and others, they are focused on watching TV, which is primarily a physically passive activity. Older kids are also affected by too much screen time. Watching TV can interfere with activities they should be focused on, such as learning, reading, playing with friends, doing their homework, being physically active, and bonding with their parents and siblings. School-aged children can become extremely reliant on the television when they’re looking for “something to do,” and this can affect their focus and concentration. Of course, there are many who argue that watching television can actually be a positive experience for children. 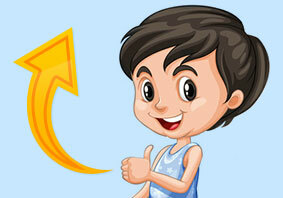 Educational shows can help them learn the alphabet and numbers, and can even help them learn how to speak. School-aged children can learn about animals and wildlife in nature shows, and watching TV can help them learn more about the world all around them. So what can you do as parents to manage the effects of television on children? Though television can help you babysit your children when you’re busy with managing your household, you should always supervise and limit your children’s screen time. Without supervision, your children may become exposed to programs and shows that are not fit for them, and this could lead to harmful effects. Violence in television has been shown to affect children significantly. Studies have shown that increased exposure to violence in television has caused children to exhibit more aggressive behavior, as well as increased fear of the world around them. Limiting your children’s screen time is also important to give them the chance to learn, play and explore. Since watching TV is basically a passive experience, this screen time takes away their chance to interact, socialize and communicate with others. So don’t let the TV take away their chance to be creative and discover life. Make sure that you spend time with them so they can learn to respond to all the verbal and non-verbal cues of a real person. Children, even those who are older, may believe everything they see and hear – even if they say otherwise. Therefore it is very crucial that you take the time to discuss what they view on television. Shows and programs on TV like making a point, and this can become the foundation of your child’s beliefs and convictions. So make sure to talk to your kids. Don’t let them quietly absorb whatever they view. Take the time to ask them about what they’ve seen, and encourage them to question what they’ve viewed before believing everything. Truly, the best way to counteract the effects of television on your children is to make sure to spend time with them, to play with them, and to help them discover the world. Playing and exploring with your kids will do them a world of good, and can really help them learn how to interact with others and think creatively. Be a role model. Children, especially school-aged ones, look up to their parents and like to copy what they do. So if you spend too much time watching television and they see you doing it, then it’s going to be a lot more difficult to enforce limits on screen time. Children grow up so fast, so make sure that you nurture their physical and mental growth and development. Don’t let them become zombies in front of the television, quietly absorbing everything they see and hear. Get them outside, play with them, read with them, and let them help with the household chores. The best way manage the effects of television on children is to limit screen time and spend time with your children doing other, more meaningful activities. This entry was posted on Monday, October 17th, 2011 at 8:51 am	and is filed under Features. You can follow any responses to this entry through the RSS 2.0 feed. You can skip to the end and leave a response. Pinging is currently not allowed.